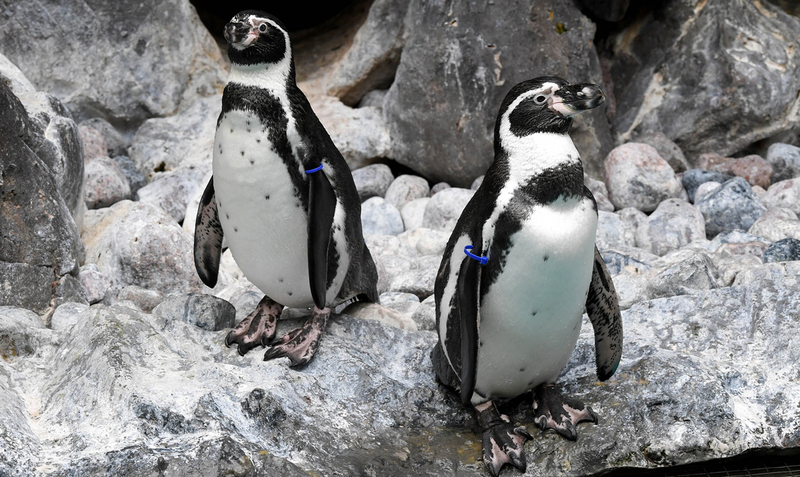 All penguin species, including our Humboldt penguins here at Brookfield Zoo, go through a complete molt once per year. This means that they lose all the feathers on their body and grow in new ones. Penguins' feathers are extremely important to their survival because they give them their speed while swimming, keep them warm, waterproof and also provide camouflage from predators. 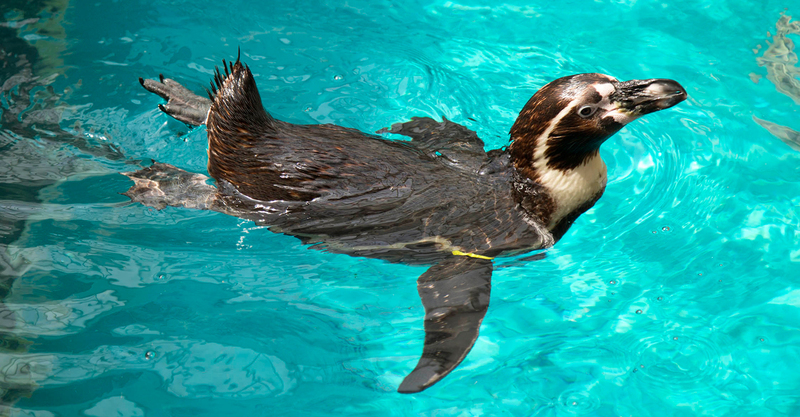 This Humboldt penguin's feathers are a year old and are in need of replacement. You can see how they look brown and yellowish and worn instead of black and white and clean. 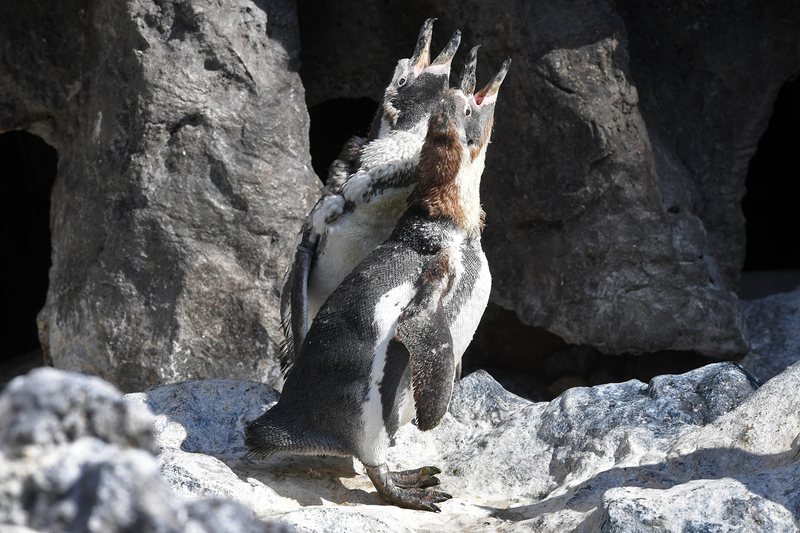 The penguin on the left is in the pre-molt stage. During this stage, his appetite will increase dramatically and his body will swell up in preparation for molting. 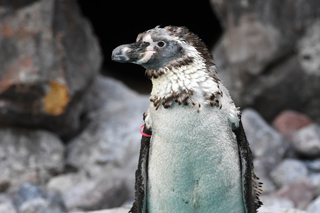 Penguins will not enter the water to fish while they are molting because they would not be very fast or waterproof and would be too vulnerable to predators. They gorge themselves on all the fish they can eat before molting and live on their fat stores until their molt is complete. This penguin has begun to molt his feathers. The penguin and his/her mate will pull the loose feathers out to speed the process along. 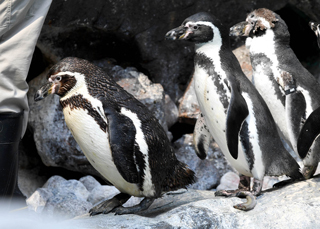 These penguins have completed molting. You can see how crisp and clean their feathers looks. They are now ready to get back in the water and fish again!